There’s no doubt this will disappoint and infuriate some of my readers, but I feel I would be a coward if I didn’t tell you how I feel about the Confederate flag controversy and why. First, I’m very much a child of the South, the past five or six generations on one side have been in Arkansas, before that Georgia, Virginia and a boat that sailed from England. On the other side of the family I’ve got four generations from Arkansas, before that Tennesee then Texas where you can still visit the town of Granger, Texas. I’ve been told it was named by my great great great great grandfather Granger Gertrudio McDaniel. One of my great great grandfathers and several great great uncles fought in the Civil war…for the South.I say all this so you understand there’s not a single yankee in the wood pile. Still, I’m so relieved the Confederate flags are being removed from our state capitol buildings. They don’t belong there because that flag does not represent or honor ALL of the people who live in our beautiful state. I don’t think the Confederate flag should be banned or burned or hidden but it doesn’t belong on our Capitol or in our schools. Yes, it is our heritage and it’s your right to fly it at home or wear on a tee-shirt. But my heritage is my history….the past. My present, my right now, my at this moment is different. Right now I have a lot of very dear friends who I love and they are black. I love them more than I love that flag. I don’t like thinking what my great great great grandfather was doing 175 years ago and what their great great great grandfather’s might have been doing 175 years ago. It makes me sad and embarrassed. And this country belongs to them just as much as it belongs to me. 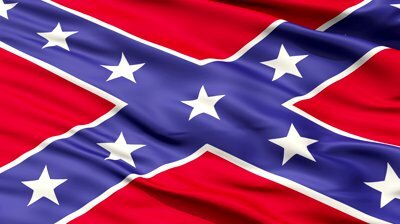 If the Confederate flag, that brings so many so much pride causes my dear friends one moment of pain or discomfort….well, their love means more to me than pride. I am not ashamed of my relatives, they were brave, strong, Christian people. they thought they were doing the right thing. But they were wrong. I still like the General Lee, Lynard Skynard and I know every word to Dixie. Bottom line, my black friends are more important than that flag. They bring me more joy, they help me, make me better and represent my heart more than the confederate flag. I chose those I love. And the Confederate flag does not define my past and I have other things to be proud of now. If I want to leave a lasting legacy it won’t be the Confederate flag, it will be my children. Sandor, Alexis, Mary and Jack. They are my battle flag now, through them I will find a way to make the world a better place and I will carry them forever along with the flag of the United States of America.